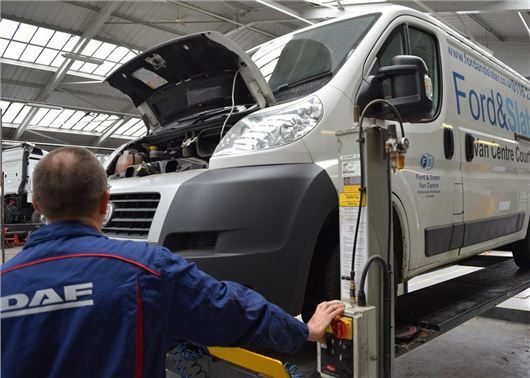 Honest John Vans is calling on the Government to modernise the MoT rules and introduce a mandatory test at two years, after official data revealed that one in four vans fails the first MoT. Honest John Vans analysed millions of MoT records and found that just 75 per cent of vans pass their first Ministry of Transport test at three years, with lighting, brakes and tyres the most common causes for failure. One of the reasons vans have a poorer MoT pass rate is because they are worked much harder and driven over much great distances. MoT test data shows that a typical van clocks up 47,000 miles by the time it has its first test at three years, while the average car has covered 26,000 miles over the same period of time. As a result, 86 per cent of three-year-old cars will pass the first MoT – a figure that’s significantly better than similar aged vans. The number of vans in the UK has boomed by 75 per cent over the past 20 years with a record four million on the road today. Van sales, over the past few years, have been fuelled by Britain’s love for online shopping with data from the Office for National Statistics showing that the home delivery market accounts for one in every five pounds spent in retail. The publication of the MoT Files means that van buyers can easily spot common failures by make, model, year of registration and postcode based on real world data. Even though it is called an "MOT" test, there has not been a Ministry of Transport for many years.